Professional License Criminal Defense | The Frey Law Firm, LLC. Do Not Let One Mistake Ruin Your Career. Florida laws require professionals to report prosecution and litigation to the state licensing board or agency. Your years of hard work and sacrifice can be lost in an instant, if you do not have a skilled criminal defense attorney. At The Frey Law Firm, LLC, in Tampa, Florida, attorney Ron Frey knows how to protect your right to practice your profession. From assisting individuals in gaining professional licensure, to discipline and readmission hearings, he will help you protect your license and livelihood. Earning a professional license is the culmination of years of effort. Do not let a criminal conviction destroy everything you have to worked to attain. The Experience You Need When so Much Is at Stake. At The Frey Law Firm, LLC, Mr. Frey understands the issues people face when their professional licenses are on the line. He knows how valuable licensure is, and he strives to achieve the best possible outcome. Attorney Frey has more than a decade of criminal defense experience that has taken him around the country. His efforts for his clients have helped him earn a 10.0 Avvo rating and inclusion as a Rising Star by Super Lawyers in 2010, 2011, 2012, 2013 and 2014. Are you a professional in Tampa, Florida, Hillsborough County or beyond who is facing criminal charges? Do not let one mistake ruin your career. 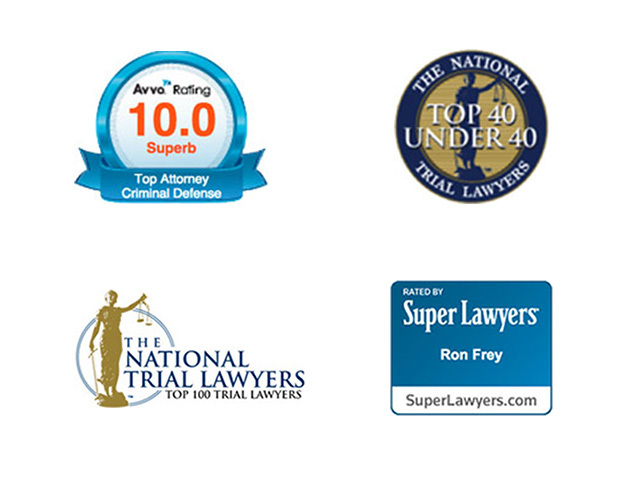 Turn to The Frey Law Firm, LLC, for skilled criminal defense and professional license defense.